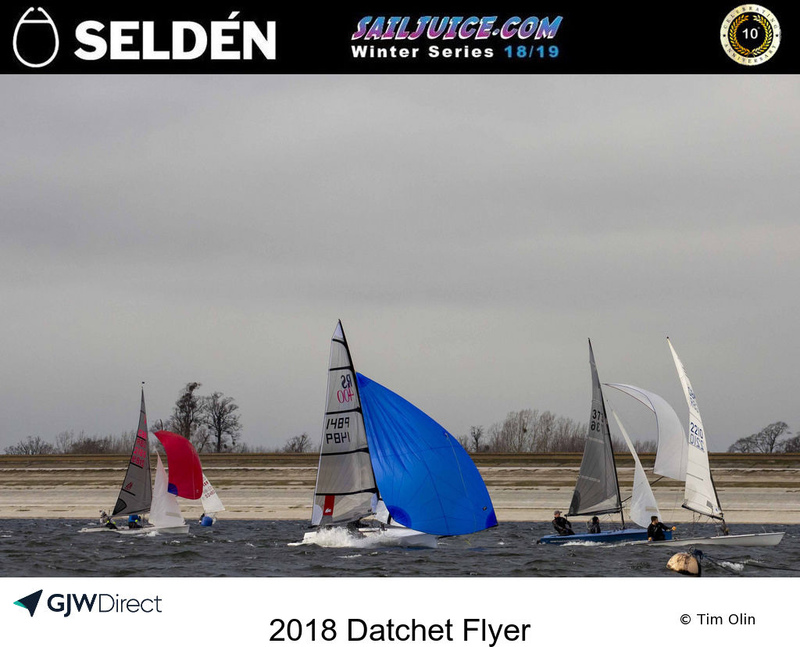 Richard Smith ‘kiddy rigged’ his way to victory at the Datchet Flyer as he expertly navigated his way through 30-plus knot gusts in the second round of the Selden SailJuice Winter Series. It’s been a while since a high-wind event in the Winter Series, but anyone praying for some breeze to stretch their legs perhaps got more than they bargained for at the reservoir beneath Heathrow Airport’s flight path. On Saturday, three back-to-back handicap races saw a high rate of attrition in the 83-boat mixed handicap fleet. The 420s revelled in the strong winds which increased throughout the day, and at the end of the first day it was a 420 1-2-3 on the scoreboard with 10-year-old Harry George crewed by his father James who were leading the way. In the Fast Handicap Sam Mettam and Tim Saunders just kept ahead of the chasing Contender of Iain Horlock to win their pursuit race. Harry and James George had been vying for the lead until a whomping gust knocked their 420 flat and saw their chances of overall victory sink, but James was elated with their performance all the same. 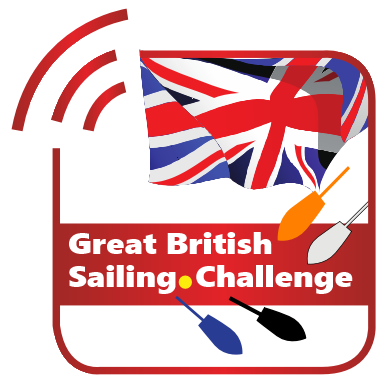 “Harry sailed incredibly and to finish 8th overall, I’m over the moon.” At 10 years old, Harry was the youngest competitor with the oldest ranging up to 78 years, racing in 40 classes ranging in speed from the Topper to the International Moth. Smith won by a single point from Megan Ferguson and Ellie Driver who sailed a superb series in their 420, who in turn finished just a point ahead of Alistair Goodwin in a Laser. A total of 39 boats has competed in the first two events of the season, and after Draycote and Datchet it’s the defending champion Alistair Goodwin who takes the top spot. Up to second and third overall are two other former winners of the Series, Tom Gillard in his Solo and Peter Gray and his crew in the three-man National 18.